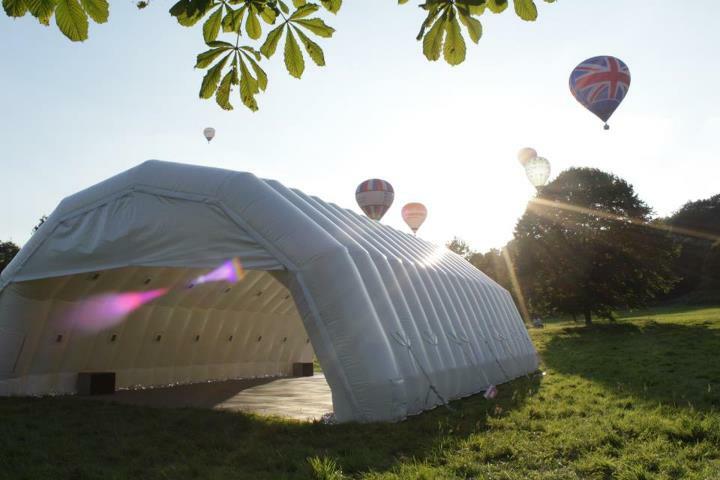 SoundSpiral is a pop-up Sound Art venue, consisting of a 12m-long inflatable structure and embedded 48-channel net-connected sound system pulling-in crowd-sourced audio from around the world. The entire space will spiral. Each hoop of the spiral will be a large, friendly and satisfyingly chunky sausage, balancing the awesome scale of the structure. The length and height of the spiral will be striking in itself. Even a fast-moving visitor, intent on ignoring the creative work within, will take several seconds to move through the space and passing through it will be an arresting experience. The spiralling sausage of the structure will hold, tucked securely into specially designed niches and held firmly in place, 48 speakers. These speakers will follow the shape of the spiral so that, when sounding, the entire spiral will come to life with spiralling sound, enlivening the giant motif with a dynamically vivid representation of the spiralling of creation, from DNA to galaxy formations. Each end doorway of the space will be abutted by a large doormat, serving the double purpose of reducing slapback echoes within the space and protecting the centre of the spiral/tunnel from muddy feet. Initially the work will show during summer 2012 and appear at the London 2012 East Midlands Festival Of Festivals - part of the Cultural Olympiad. For an overview of the visitor experience, see this page detailing 'Babel Spring' - the Spiral's inaugural sound work. Lakeside Arts Centre, Nottingham University, August/September 2012. St Pauls Carnival, Bristol, July 2012. XChurch Gainsborough, SlumGothic and The Bend IN The River Gallery, June 2012. SoundSpiral is designed from the beginning to be transportable, self-contained and capable of being setup pretty-much anywhere. The entire system will fit in a typical white-van and will go from delivery to running in a morning. The legacy intention of the project is to reduce the cost of bringing innovative large-format Sound Art pieces and events to new audiences by providing both venue and playback hardware in one easy to manage, flexible rig. "Babel Spring" the system's inaugural piece by Sound Artist Amie Slavin will see the space filled with the languages of the world united through prose to celebrate and overcome difference in creating a piece of new music blending disparate voices into a harmonic whole.